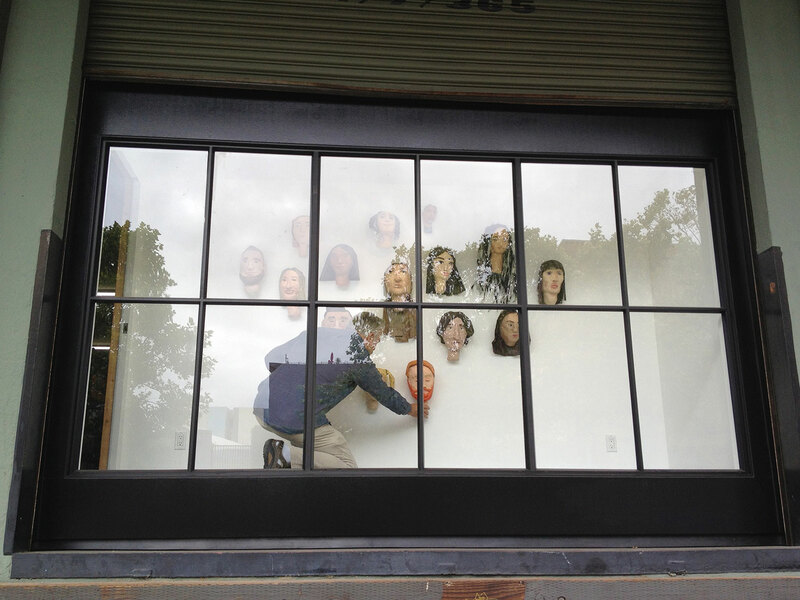 Frank Cole is here today, installing self portraits made by his students at the University of San Francisco. They look great! The exhibition is titled Heads Up: Self Portraits and will be on display from May 25 – June 25, 2017. Come by to see the Roll Up Project door every weekday from 10 to 5. Learn more about the self portraits here.